Thai food outside Thailand does not do justice to Thai food, if you're a first time visitor and like Thai food you'll soon realise it never tasted so good. 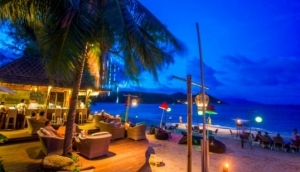 Whether a fine dinning restaurant or a roadside noodle stop, Thai food on Samui is delicious! Food is a major part of Thai culture, woven in to the fabric of everyday life and an important part of the family interaction. The amalgamation of the finest fresh ingredients, blended with spicy, sweet & sour and subtle flavour, pleasing to the eye, nose and palate is what constitutes this unique cuisine.